Terrinoth is a land of danger and decay, of lost legacies and forgotten glory. 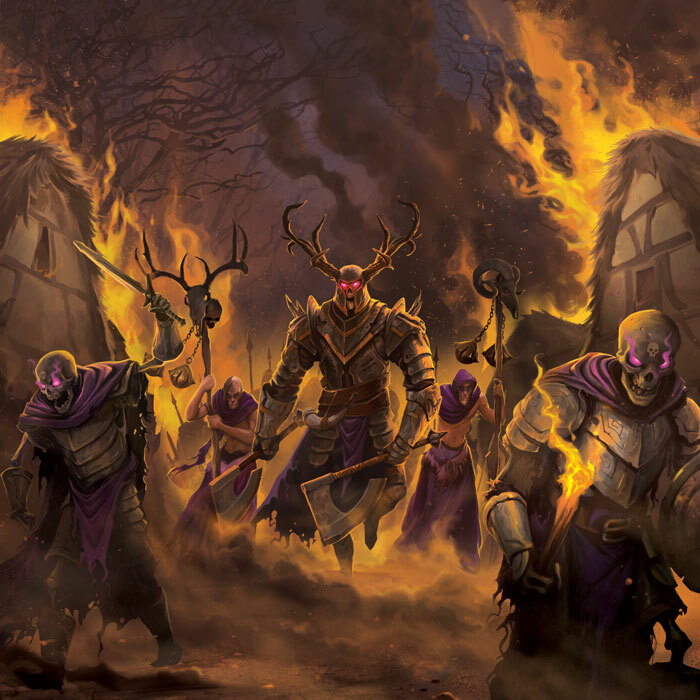 Devastated by the undead army of Waiqar, demon-possessed hordes of Uthuk Y’llan, and the terrifying dragons of the Molten Heath, Terrinoth has suffered from despair and destruction for hundreds of years. But in the depths of this despair, heroes await. Bold adventurers are ready to reclaim lost glory and take their place in a new age of heroes. Realms of Terrinoth, a new sourcebook for the Genesys Roleplaying System is now available from your local retailer or digitally through Drivethrurpg.com and rpgnow.com. 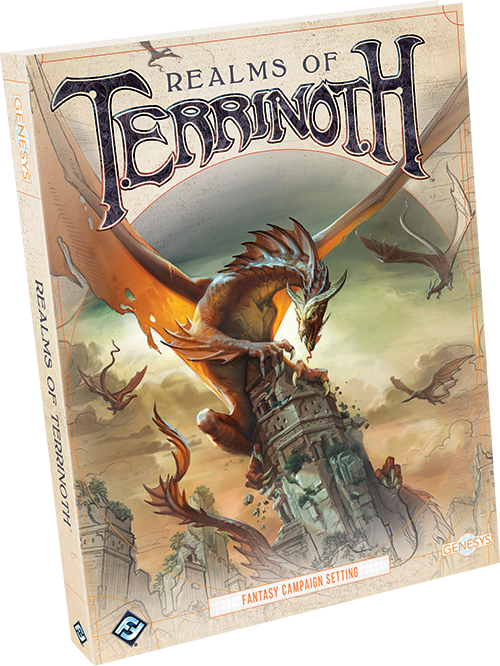 Realms of Terrinoth is a book meant to spark your imagination as a Game Master running a game in the fantasy setting of Mennara. Realms of Terrinoth includes a full history of the land of Mennara, with an overview of its various regions and a breakdown of the enthralling NPCs that can be found there. Even beyond the rich fantasy trappings, you can look for new mechanics like Heroic Abilities and a slew of new talents, weapons, and more. These new mechanics stem from the world of Terrinoth, but they can be expanded to any fantasy setting that you imagine. Use Realms of Terrinoth to run a campaign in the world of Mennara, or as a source of inspiration for your own setting. With Genesys, the choice is always yours. One cannot set out on adventure in the world of Mennara without experiencing terrible danger along the way. While many dream of becoming heroes, those who wish to succeed in their adventures will have to rely on their wit, courage, strength, and unique Heroic Abilities. These Heroic Abilities are brought to life in Realms of Terrinoth as a new mechanic that gives your characters extraordinary short-term skills in exchange for Story points. These Heroic Abilities are yours to craft: everything from the primary ability to the name of the ability itself is customizable. Working with your Game Master, you can create a Heroic Ability that’s truly yours. Furthermore, as your character learns, grows, and changes, so too does your Heroic Ability, becoming stronger throughout the course of a campaign. For a full preview of how Heroic Abilities work, click here! In the world of Mennara, magic works very differently than traditional fantasy settings. Magic users in Mennara must rely on mystical elements known as runebound shards. These shards are scattered across the world, and each is imbued with a magical ability. While anyone in Mennara can use these instrument's surface abilities, it takes a true master of magic to unearth the potential of these shards and unleash their true power. Runebound shards are a vital part of the world of Terrinoth and new classes, talents, weapons, items, and more revolve around them in Realms of Terrinoth. For a preview of magic in Realms of Terrinoth with developer Tim Huckelbery, click here! Heroes are more than just Heroic Abilities and magic. It is the unique talents of these heroes that truly makes them unique. Realms of Terrinoth includes over sixty new talents to customize your heroes. While many of these talents are based in the land of Mennara, they can be easily used in other fantasy settings and beyond. Invent your own signature spell, or solve a perplexing puzzle with a Flash of Insight. For a preview of the talents found in Realms of Terrinoth, as well as how they can be featured in other settings, click here! Mennara has been previously explored in games like Descent: Journeys in the Dark and Runewars Miniatures Game, and Realms of Terrinoth pulls all these sources together and allows you to learn about Terrinoth through a rich history and stunning artwork. 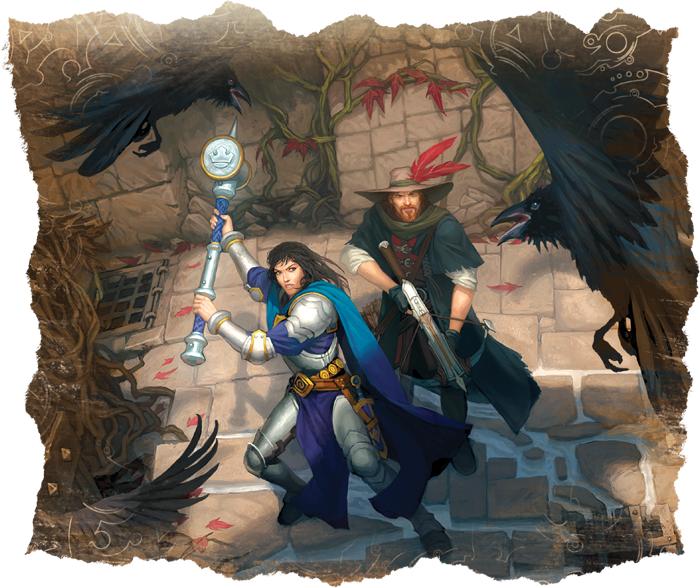 Realms of Terrinoth explores each region of Mennara, peppered with adventure hooks, an expansive history, and a list of non-player characters that may be featured in the area. For a preview of the various regions featured in Realms of Terrinoth, as well as the characters found within, click here! 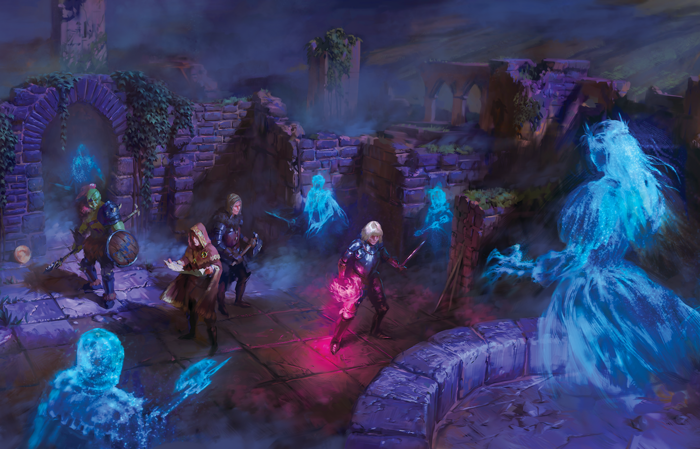 Realms of Terrinoth invites your players to experience a vivid fantasy setting in the Genesys Roleplaying System. With new mechanics and a fleshed-out setting to assist Game Masters and players alike, adventure is right around the corner. Will you become a hero in the deadly realms of Terrinoth? Craft your own adventure and purchase Realms of Terrinoth (GNS03) from your local retailer, drivethrurpg.com, and rpgnow.com today!